Lovely story told with rich furs and frosty colors. 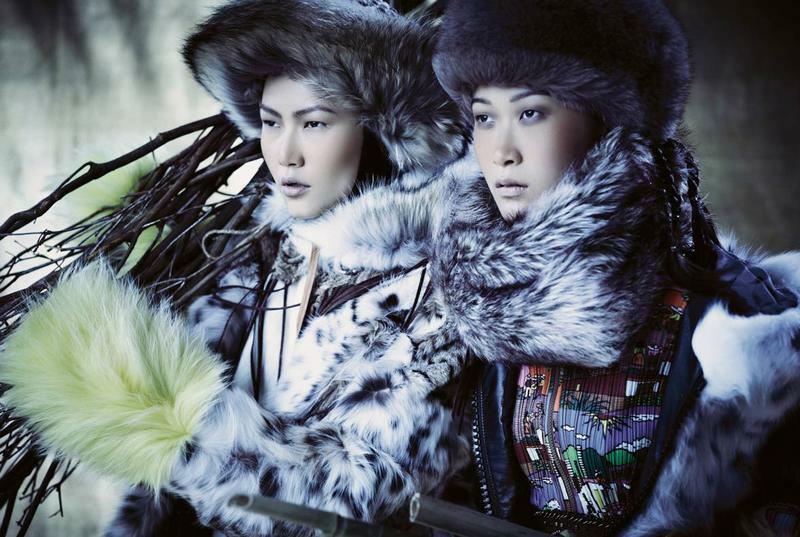 Models Zaya, Min Young, Gwen and Kim Kook play nomadic Mongolian girls, with amazing fur collections. The styling, done by Donald Lawrence, also included touches of crocodile, and an amazing jewelry piece on display on the first page. Photographed by Melissa Rodwell. This entry was posted on September 24, 2011 by ryggradfashion. It was filed under Accessories, Fashion Magazine, Photography and was tagged with Donald Lawrence, fashion editorial, Gwen, Kim Kook, Kurv Magazine, Melissa Rodwell, Min Young, Nomads of Mongolia, September 2011, Zaya.